Harnessing artificial intelligence to deliver data-driven travel marketing. One Part Human. One Part Machine. All Parts Authentic. We analyse cities, interpret how they feel in human terms, then match the right location to the right customer. 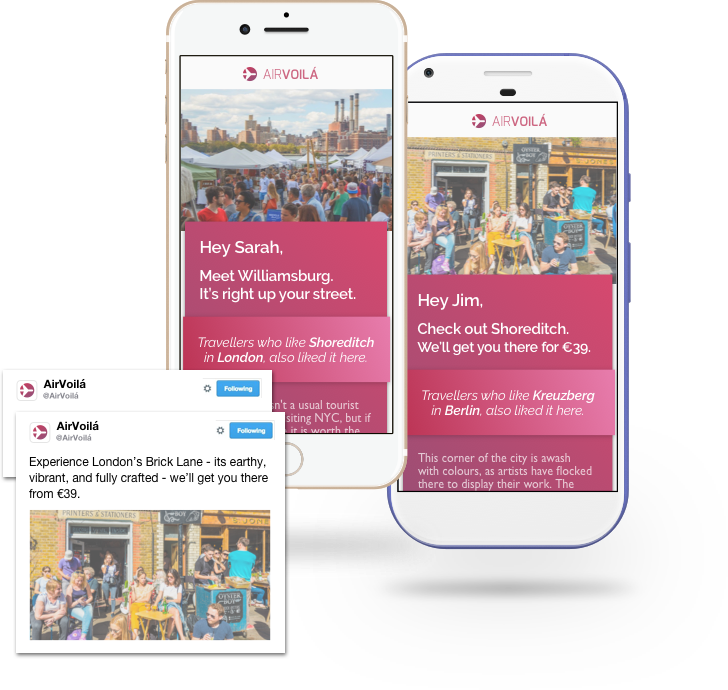 LikeWhere integrates with your mobile app, website & email campaigns enabling you to personalise your marketing. Deliver beautiful, branded travel experiences. Your app, powered by LikeWhere. Build narrative-rich email + social media campaigns targeting the interests of your customers. 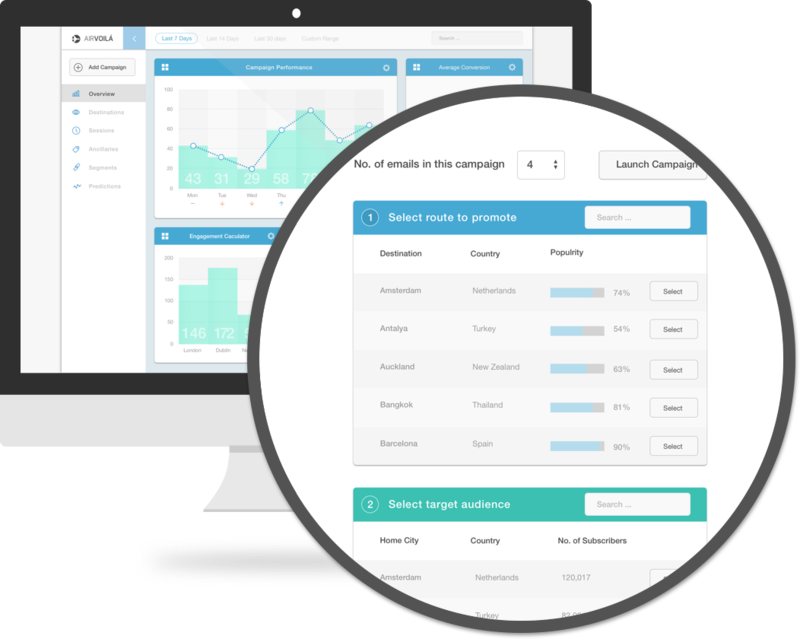 Use aggregate behavioural data to inform your future marketing campaigns, personalised to segment or individual customers. Deliver authentic travel experiences to increase conversions + customer loyalty. crafted & curated by a global community of hand-picked local bloggers. La Superior on Berry Street is HANDS DOWN one of the most authentic and incredible Mexican food spots in New York. It is always busy so be prepared to wait, and be amazed. Don’t ask for sour cream. 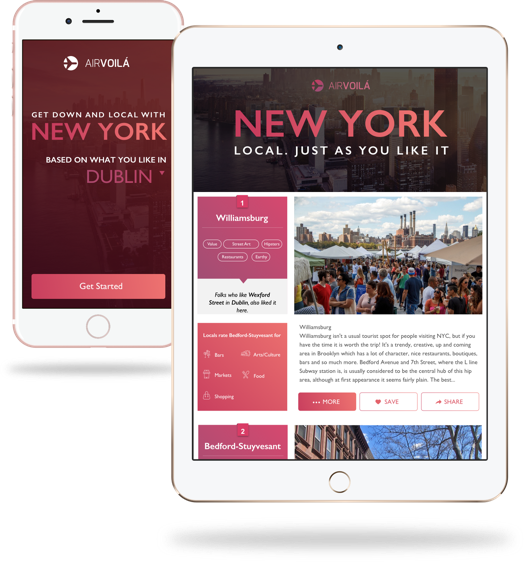 Montse Belver loves to write about New York trends, news, culture, arts, current events and NYC lifestyle. Barcelona Loves New York is the European Blog of New York, for expats living in the city and any New Yorker who appreciates European style. One of the most magical music venues on planet earth is The Bitter End on Bleecker Street. You never know who you will see perform here. They promote up and coming artists and many famous names have graced the stage such as Bob Dylan, Stevie Wonder, Joni Mitchell and Lady Gaga. Joel Zimmer is a software developer by day and photographer every other minute. He loves to share his NYC adventures through his art using just his creative talent and his iPhone 6S. Roberta’s on Moore Street looks like nothing from the outside but they do the most amazing wood-fired pizzas gaining celebrity followers such as Beyonce and Jay Z. There is always a large wait but it is totally worth it if you’re a pizza fan. You can sit inside, on the rooftop garden or take away. Kirsten Alana is a lifestyle and luxury travel photographer & blogger based in NYC. Sharing her adventures in art, culture, dining and great landscapes through pictures and words. Her travels may be sponsored but her opinion is never for sale. 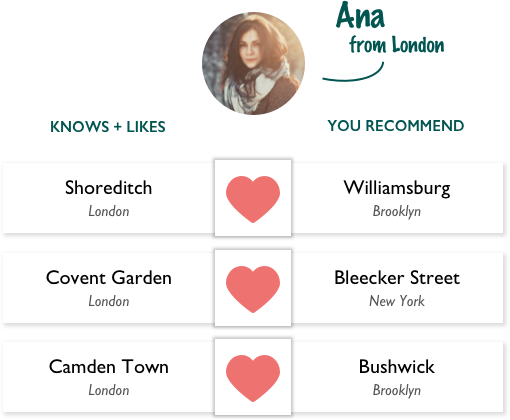 LikeWhere integrates within your digital domain to deliver highly engaging, local recommendations for your customers.